Indicate whether you want to copy the instructors or skills from the original classes into the new classes. 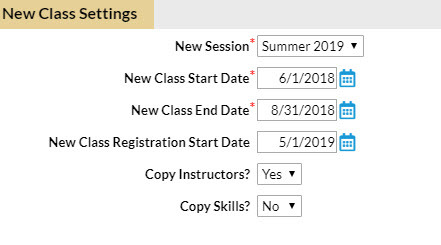 Indicate whether you want to copy any future enrollments or waitlisted students from the old classes into the new classes. Select a Schedule Start Date / Enroll Date for new class enrollment (will default to current date).